Fake reviews have hit the headlines recently. Sometimes there’s a humorous element to the review – such as when journalist Oobah Butler created an entirely fake restaurant ‘The Shed at Dulwich’ in a stunt for Vice magazine. He successfully promoted the non-existent establishment on TripAdvisor, with fake reviews boosting its reputation to the point where it became the number one restaurant in London, with foodies desperate to visit. But when it comes to tradespeople, fake reviews are more serious. Often consumers will think they’ve done the hard work of finding reliable traders when they look at their online review history. But consumers need to be careful about where those reviews are hosted. For a reliable tradesperson and real reviews, check Which? Trusted Traders. A recent BBC investigation into trades accreditation schemes found BBC reporter Philip Norton able to set-up as a handyman on some sites with a false email address, a fake business profile and an entirely fabricated trustworthy work history. That simply wouldn’t be possible with Which? Trusted Traders. Which? 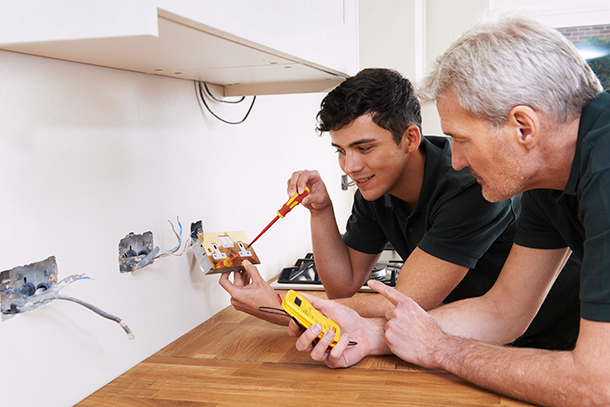 has been rigorously testing products and services for over 60 years – now it assesses and endorses local tradespeople too. Becoming a Which? Trusted trader involves a rigorous assessment process, which is designed to ensure we endorse the right traders that are customer focused and trustworthy. The Which? Trusted Traders scheme exists to represent high-quality rather than high quantities of traders. We do not accept every business that applies – one in four do not make the grade. Every review on our website goes through our moderation process. We encourage traders to respond to reviews, but we don’t take them down if they’re genuine – positive or negative. This allows you to build an accurate picture of how a trader operates with customers. Before we accept a business on to the Which? Trusted Traders scheme, it undergoes an assessment designed and administered by trading-standards professionals. We examine its business and administrative procedures to ensure it has consumer interests in mind. This includes checking its creditworthiness, insurance policies, terms and conditions and complaints procedures. Our standard assessment also involves a face-to-face visit and interview with a trading-standards professional at the trader’s business premises. We examine the working environment and the individuals to see whether or not the business is legitimate. We also check references from previous customers to assess customer satisfaction. The assessor will select 10 customers that have employed the trader within the previous 12 months. Their details come from the trader’s order books or paperwork from the previous year – so the trader can’t influence who we contact. No faking possible here. We think our traders are trustworthy and reliable. But if things did go wrong and your trader couldn’t complete a job to your satisfaction, you’re not going to be left in the lurch. You will have access to an alternative dispute resolution provider, to help mediate and resolve the issue. You can find Which? 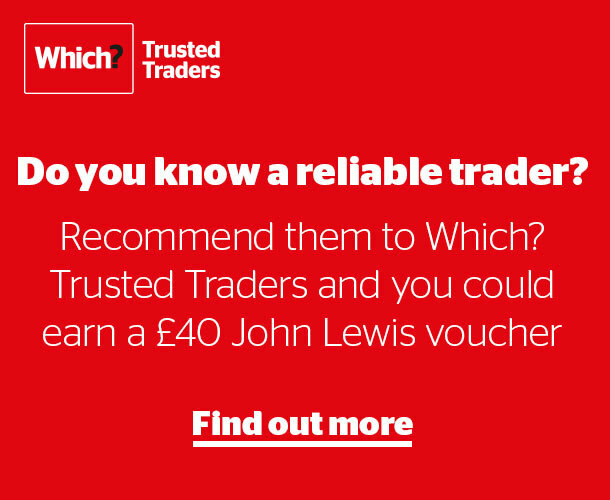 Trusted traders on our website by searching for the trade you want, plus your local area. Which? Trusted Traders has endorsed plumbers, builders, heating engineers, electricians, gardeners and more throughout the UK. Which? Trusted Traders – stop looking, start finding.